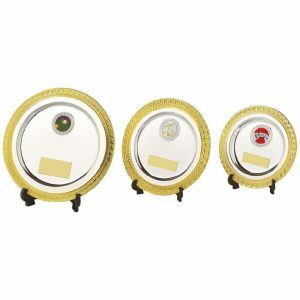 The very finest awards are included in this selection from Challenge Trophies Online. 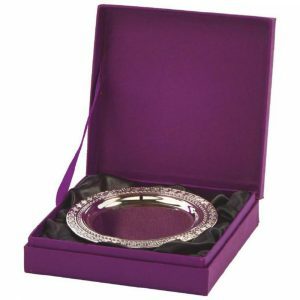 A stunning range of silver salvers of excellent quality are provided here. 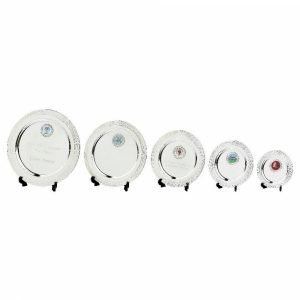 Ideal for school awards, sporting events and many different occasions where a special award is warranted. Some have wooden stands while others come in their own presentation case. 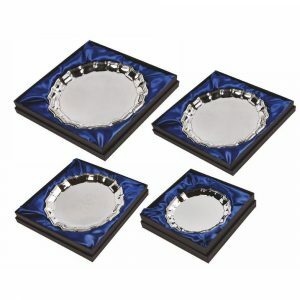 Gold-edged, silver-plated and nickel finishes are all available. Prices range from less than five pounds and you have an option to choose from a range of sizes as well. When browsing the collection, simply choose the required size on the item page as you look at the details of each product. 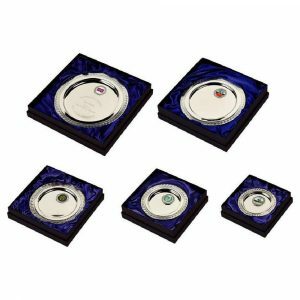 Choose a silver salver with a centre image included free. Alternatively opt for a design without a centre image. 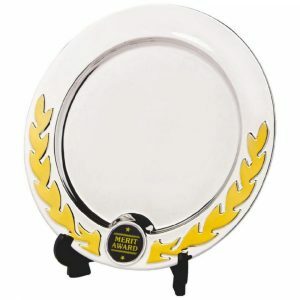 In either case you can include the engraved message of your choice. This is easy to enter on the order page for each individual item. 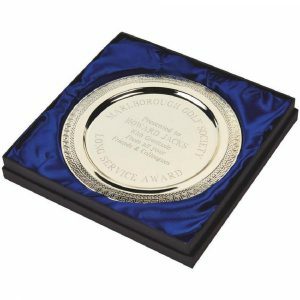 Alternatively you can put in all the details when you reach the checkout if you are placing an order for several awards or salvers. 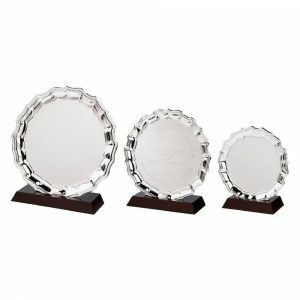 Challenge Trophies Online offers a speedy and efficient service. We can handle all shapes and sizes of orders. Our team can complete a single order or handle one for dozens (or more) of items. 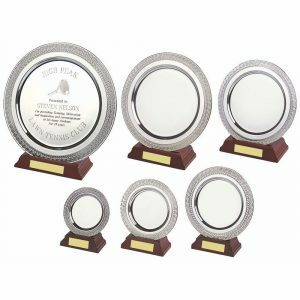 Silver salvers are ideal for marking a special moment for a sports player or for someone who has put a lot of work into an event. 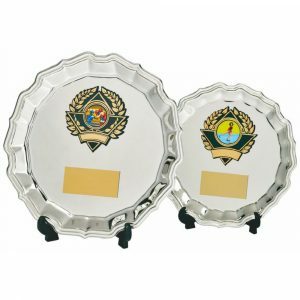 They can be used for all kinds of occasions and you can guarantee Challenge Trophies Online is well-placed to provide you with the top-quality goods you need. Get in touch now with any questions or place your order securely using our online system for complete confidence.